Horizon Technologies will be exhibiting as part of the ADS UK Village in Hall 1/Stand 1136. The XPOD will be on display mounted to the L3 Longsword aircraft behind the L3 Pavilion; C2. This particular version includes FlyingFish™, L3’s MX-15, AIS, and CMDL data link. For those customers who require a quick ISR solution mounted to an aircraft’s hardpoints, XPOD is the solution. In addition, we will be bringing a full-scale mockup of our smaller XPOD-UAS which is designed for UAVs with a weapons rail. The XPOD-UAS will be able to be viewed at our stand during the show. 2018 will be the first year Horizon Technologies will publicly show “Amber”, their FlyingFish™ solution for the fast-growing CubeSat market. 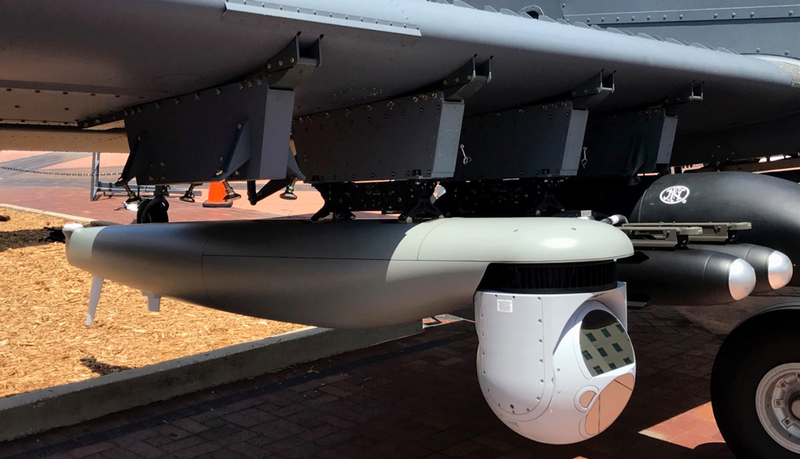 “As we prepare for our first launch in early 2019, we want to start engaging with our customers on the benefits of spaced-based ISR; especially AIS/RF correlation to detect maritime dark targets.” said John Beckner. Amber is a space-generated data product, not a service or hardware solution. Beckner predicts that within 10 years, 50% of today’s traditional manned ISR missions will be replaced by space-generated ISR data. In addition, UAV missions will use this data to increase their effectiveness by allowing more accurate cueing so they will be at the right place at the right time. Horizon Technologies’ “Amber” their FlyingFish™ solution for the CubeSat market.